How do I use the drying rack of my Electric Front-Load Dryer, 7.5 cu.ft (DV50K7500EV)? 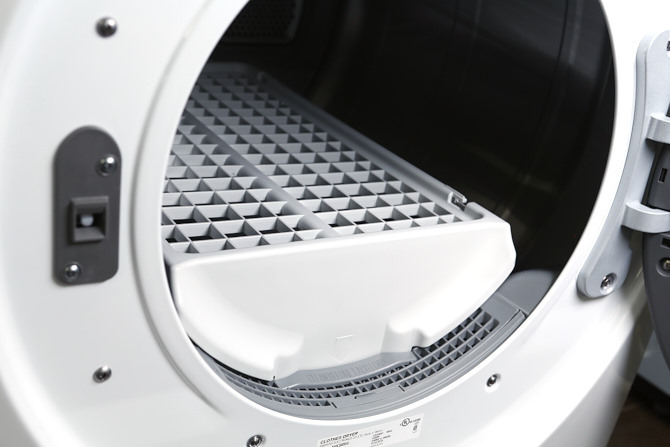 Your dryer come with a drying rack which is inserted into the drum at the factory. Remove the rack from the drum before you use the dryer for the first time. To remove the rack, pull the rack straight up, and then take it out of the drum. Remove the drying rack from its packaging and store the rack for later use. 1. Insert the drying rack inside the tumbler with the filter handle to the front. 2. Insert the rear legs of the drying rack into the recessed areas of the rear wall, and then press down the middle of the drying rack to secure it in place. 3. Put items to dry on the rack. Make sure to leave space between the items for air flow. 4. Press Rack Dry, and then select the drying time. Finally, press START/PAUSE to start the drying cycle. 5. 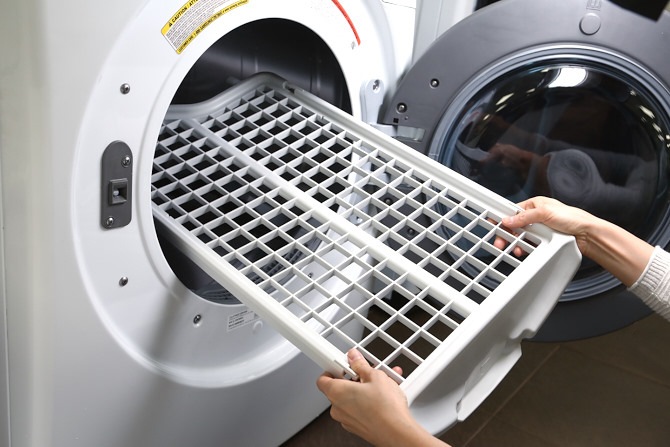 When the items are dry, remove the them from the dryer, and then remove the drying rack. You can purchase a new drying rack at a local Samsung service center or by visiting www.samsungparts.com on the web. Use the part code DC61-02705A to easily find the part you need on the website. 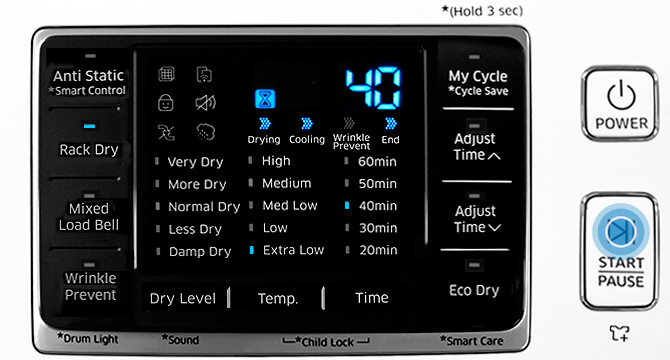 How do I dry blankets using my Electric Front-Load Dryer, 7.5 cu.ft (DV50K7500EV)? How to dry pillows using my Electric Front-Load Dryer, 7.5 cu.ft (DV50K7500EV)? How to dry bedspreads/comforters using Electric Front-Load Dryer, 7.5 cu.ft (DV50K7500EV)?